Last week’s scheduled economic news was slim last week. The Federal Open Market Committee of the Federal Reserve issued its post-meeting statement, weekly readings on average mortgage rates and first-time jobless claims were also issued. The Federal Open Market Committee of the Federal Reserve announced that it did not raise the target federal funds rate but set the stage for raising the benchmark rate n coming months. The current range for the Fed rate us 2.00 percent to 2.00 to 2.25 percent. The Fed expects to increase rates three times in 2019 provided that strong economic conditions prevail. FOMC members watch inflation, financial markets and domestic and global news to determine how or if to adjust the Federal Reserve’s target interest rates range. Although FOMC releases projections based on current events and financial developments, changes to financial markets or global events could cause the Fed to hold off on raising interest rates. Freddie Mac reported higher average mortgage rates that pushed current mortgage rates to their highest levels in seven years. 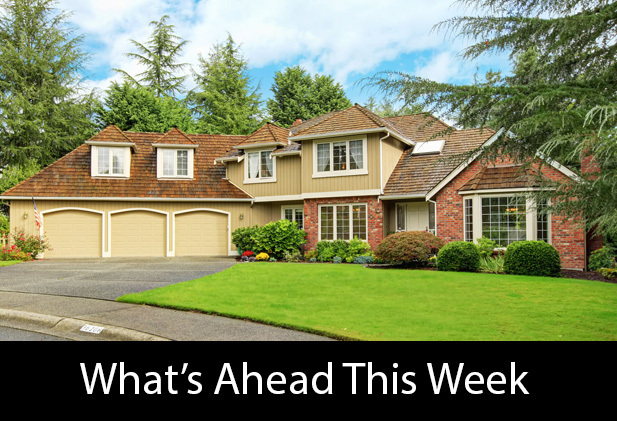 Rates for a 30-year fixed rate mortgages rose 11 basis points to an average of 4.94 percent; 15-year fixed rate mortgage rates averaged 4.33 percent, which was ten basis points higher than the prior week. Rates for a 5/1 adjustable rate rose by 10 basis points to an average of 4.14 percent. Discount points averaged 0.50 percent for fixed rate mortgages and 0.30 percent for 5/1 adjustable rate mortgages. First-time jobless claims fell by 1000 new claims to 214,000 new claims filed. Analysts expected 210,000 new claims filed based on the prior week’s reading of 215,000 first-time jobless claims filed. Next week’s economic reports include readings on inflation, retail sales and weekly reports on mortgage rates and mortgage rates.